Hilary Swank and Edie Falco were honored during the weekend at the 18th Annual ASPCA Bergh Ball held at The Plaza Hotel in New York City. Swank received the ASPCA Compassion Award, and Falco was honored with the ASPCA Voice for Animals Award. Lake Bell and Isaac Mizrahi co-emceed the evening. The Bergh Ball is a cornerstone of the ASPCA’s fundraising efforts to directly impact the lives of homeless, abused and neglected animals across the country. 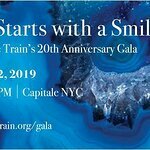 Additional guests included Christian Siriano, Star Jones, Dominic Chianese, Jessica Hart, Allie Rizzo, Patina Miller, Georgina Bloomberg and Vincent Piazza.